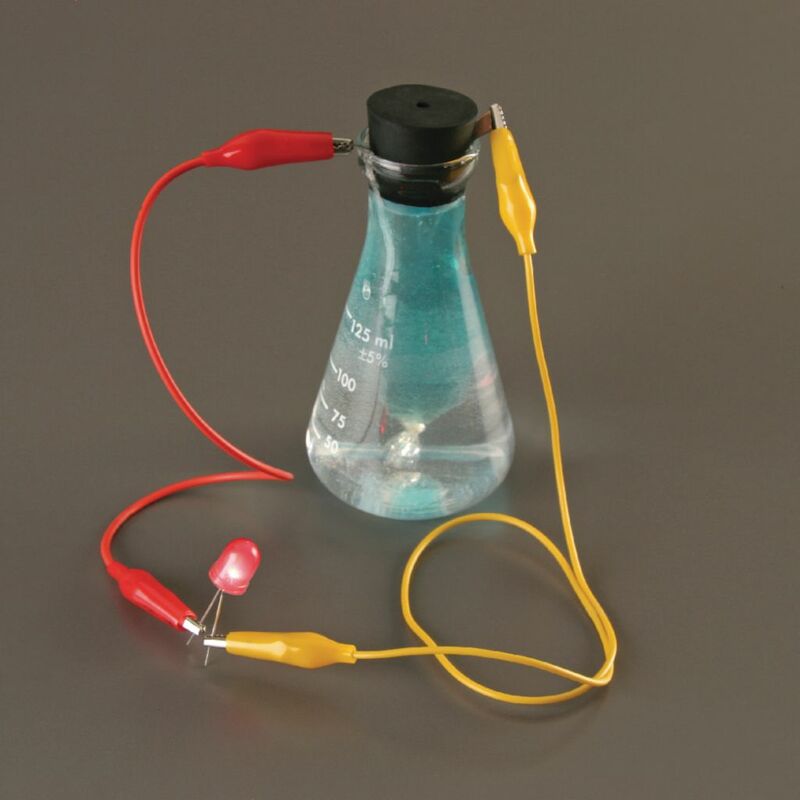 Construct a Simple Chemical Wet-Cell Battery. This easily-constructed battery can be built using two chemical solutions and two metal electrodes in an Erlenmeyer flask. It produces a constant source of 1.5 V and can be used to power a small LED. 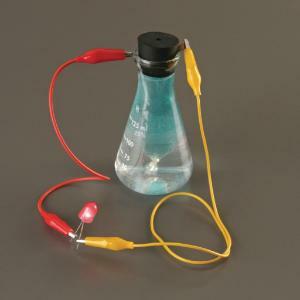 Using the materials included in this kit, you can show your students how to construct a single battery of this type.